And thank you, Ceri, for inviting me to stop in at Babblings of a Bookworm. 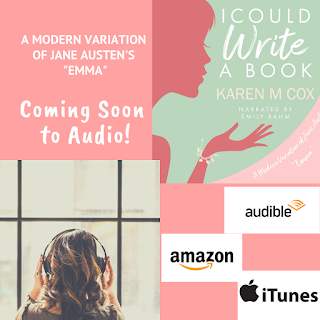 I have some news to share: after a long wait, the audio book version of my “modern” (1970s) variation of Emma, titled I Could Write a Book, will be available very early next year (which is actually next month!) We are anticipating a release on 5 January, 2019 to ring in the new year. I’m so excited about this new project, in part because I think I have found the perfect narrator, Emily Rahm. She has just the right amount of Southern flair for I Could Write a Book’s Emma Woodhouse, and her other characterizations are spot-on as well. 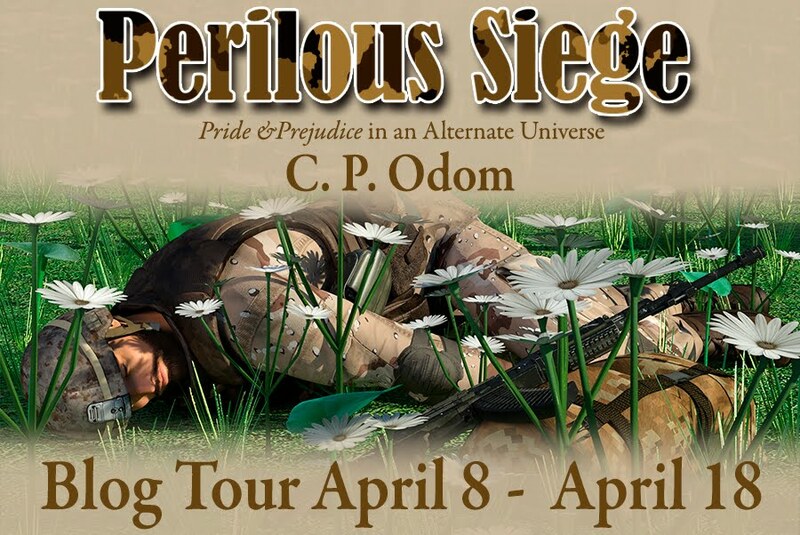 I think you all will love her rendition of the book. 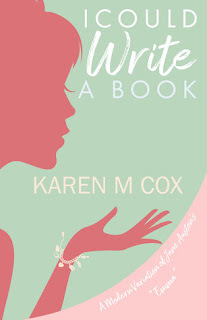 Today, though, I want to take a look back to when I was first imagining the world of I Could Write a Book. I’ve always thought that two of the most important “characters” in Emma were places: Donwell Abbey, where Emma begins to see Knightley as he truly is, and not just as her own particular friend; and the village of Highbury, the backdrop for all the humorous, secretive, kind, silly—very human inhabitants to play out the drama of their lives. I think one reason I found Emma such an engaging read was because these “character-like” places reminded me of my beloved Kentucky home. 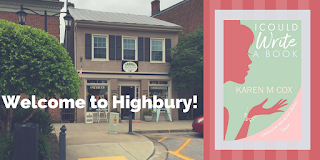 Highbury seemed familiar enough to be right outside my door, and the Bluegrass area horse farms spoke to the elegance and tradition I expected in a Donwell Abbey. When I first began collecting images and thinking about settings for I Could Write a Book, I found two real-life places that “spoke Austen” to me. In the fall of 2012, I took a tour of Lane’s End Farm in Woodford County. The quiet grace and sophistication of the farm suggested to me what a 20th century Donwell Abbey might be like: a place respectful of tradition yet willing to adapt to modern ways. 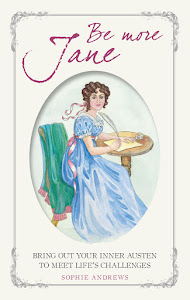 Perhaps it was because Lane’s End was founded by Will Farish in 1979, around the same time period as I Could Write a Book is set. 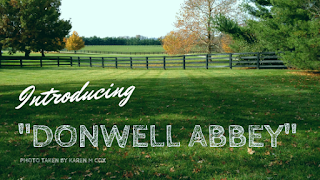 From the majesty of rolling fields to the poignancy of the thoroughbred cemetery to the beautiful offices of the horse breeding and boarding business, Lane’s End was such a perfect fit for my Donwell that I could almost see George Knightley standing in the doorway. In fact, seeing him there in my mind’s eye inspired one of my favorite scenes in the book. The town of Midway is the other place that informed so much of I Could Write a Book. It is actually in the same county as Lane’s End Farm. Originally named “Middleway” because it was half way between the big town of Lexington and the state capital, Frankfort, Midway’s streets and buildings pay homage to its Victorian-era beginnings. It’s small (a little over a mile square), and charming, a place where Emma and Mary Jo Smith (the Harriet character in) would sit outside on the sidewalk and lunch on salads and sweet ice tea, surrounded by quaint shops and friendly neighbors. When I first beginning envisioning a story and writing first draft, I go to the settings in my mind (even if I’ve never been there, I watch video or read descriptions) and walk around a piece. I recorded this video right before I Could Write a Book was released, so it’s summertime, not the way it looks now. It’s a nice breath of summer, given how cold it is here. Enjoy your brief tour of “my Highbury”! 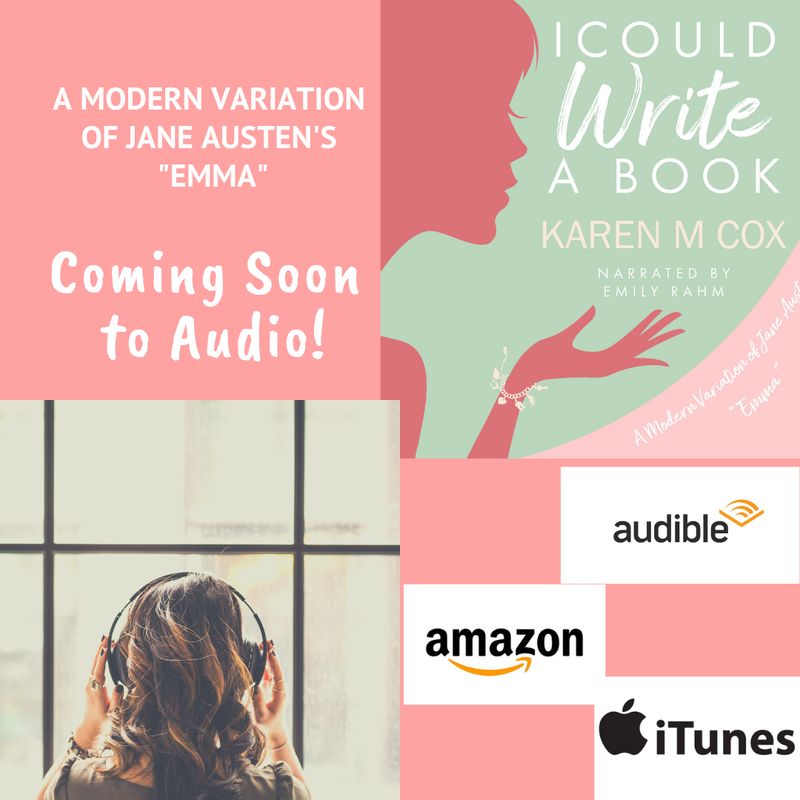 Thanks for stopping by, and I hope you all enjoy Emily’s interpretation of Emma and the other “usual suspects” in our audio version of I Could Write a Book, which will be available in early January on Audible, Amazon, and Apple books. Glad you enjoyed it, Christina! That is very interesting and I love that you're putting it on audio Karen. 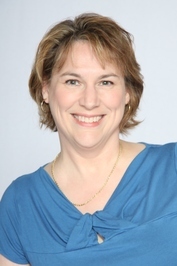 I think it's a story that lends itself to audio - I was just so grateful to find Emily. I think she did a wonderful job!